Our fabric line of more than 15,000 patterns and colors is sampled in over 200 sample books. From the “basics” to silks, from prints to upholstery fabrics, our line is considered the most comprehensive mid-market fabric array available today. Our extensive fabric line is complimented by over 20,000 trim, tie back and tassel items. Kasmir window treatments are inherently flame resistant. Beautiful window treatments begin with beautiful fabrics. The second step is quality craftsmanship that turns fabric into a product of outstanding beauty. Kasmir’s workroom facilities are among the nation’s most modern and efficient. Our trained artisans make the difference, and it is evident in our entire Custom Product Line. Seeing and feeling is believing! 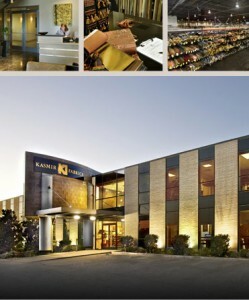 We carry all Kasmir samples. Visit our Showroom.